$1 for what, like 6 mn’ms? Also, do tips not count? 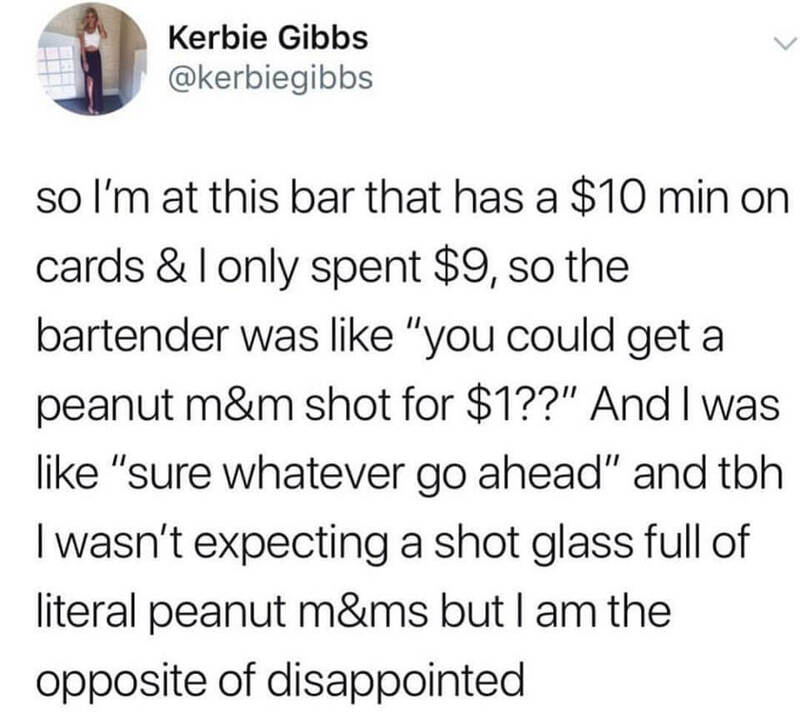 Just throw your bartender the extra buck.